Large studio in the quiet and serene residential Sueño Azul arranged green areas. 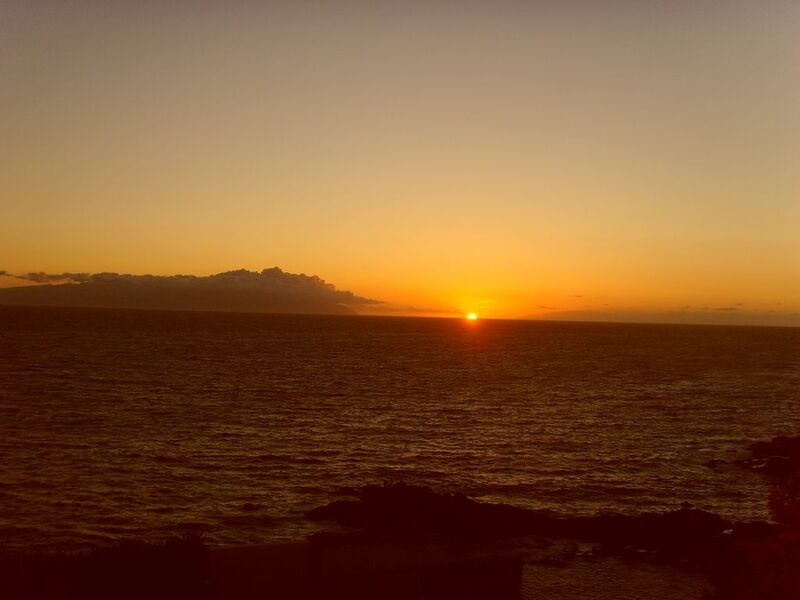 The apartment is in first line with an unforgettable view of the ocean along with unique sunsets on the nearby islands (La Gomera, El Hierro, La Palma). American-kitchen fully equipped (oven, hotplates, microwave oven, kitchen utensils). - Fitted bathroom (washing machine, shower bath, towels provided). - Full opening of windows to enjoy the sea air throughout the apartment. - Possibility of WIFI INTERNET surcharge. Count 40 euros for the delivery of keys and the welcome on the premises. Renovated apartment for more space and convenience in a quiet and luxurious residence. French TV with bis TV. Beach converted a 10-minute walk from the apartment. A lovely Property with fantastic views well equipped very clean was missing a kettle but received one very quickly from couple next door who holds the keys .The only down side was the double bed was a small double but there is a sofa bed. Would definitely use this property again. Thank you for your comment. I 'll make sure to get a kettle for the next customers. The Sueno Azul residence is part of the magnificent agglomeration of Callao Salvaje where you will have all the necessary service to meet your needs: supermarkets, French bakery, bar, ice cream parlor, restaurants, banks, pharmacy and doctor 24, beach, waterfront stroll ... Close to the most famous tourist centers.